Vladimir Syromyatnikov was a towering intellect in Russian – and indeed, global – space development. An engineer who believed in building and operating what he designed, Syromyatnikov worked on the Vostok that launched Yuri Gagarin, the Venera, Voskhod, and Molnya communications satellites. But his crowning achievement was unquestionably the Androgynous Peripheral Assembly System (APAS), the spacecraft docking system that has never failed in space in over 200 docking operations. The mechanism was first used by the USSR in the late 1960s, but Syromyatnikov adapted the mechanism for the Apollo-Soyuz test flight docking, and later for Shuttle/Mir dockings and the International Space Station. He received the Lenin Prize for the mechanism in 1976. Today, the International Association for the Advancement of Space Safety has an award named for him, honoring outstanding designers and engineers who have made major technical contributions toward systems safety. 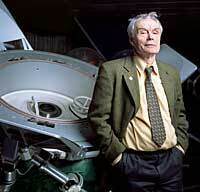 Syromyatnikov died in 2006, still designing away as an ever curious, ever learning, engineer at Energia. 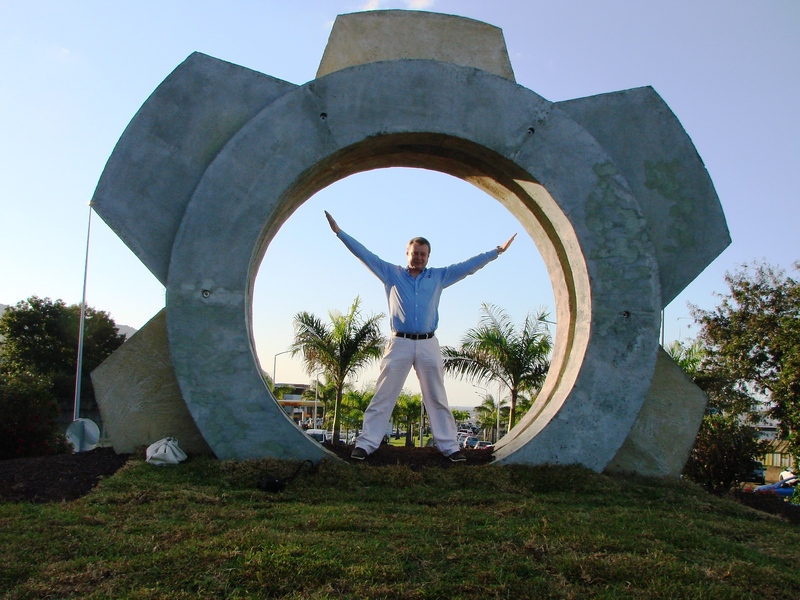 This past November, the French territory Reunion Island inaugurated a memorial to Vladimir Syromyatnikov – a sculpture of the docking mechanism he designed, ensconced in the center of its capital city, St Denis. 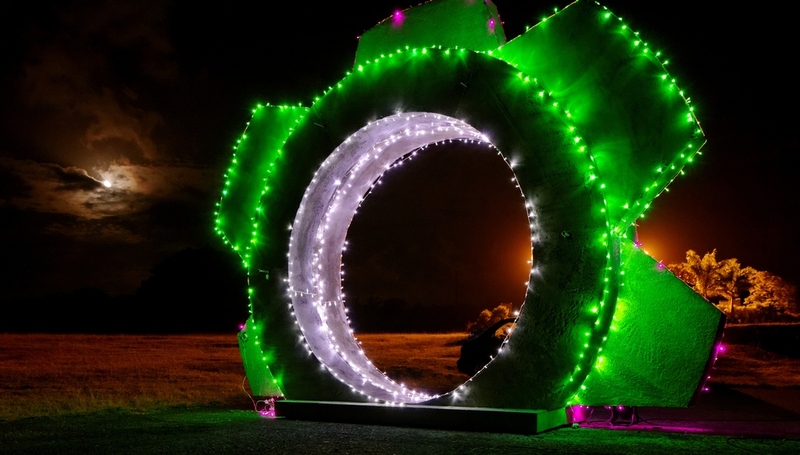 Reunion Island adopted Syromyatnikov, who popularized space in the region on his many visits. Syromyatnikov’s son Anton attended the inauguration and shared with us the photographs displayed here of the memorial. 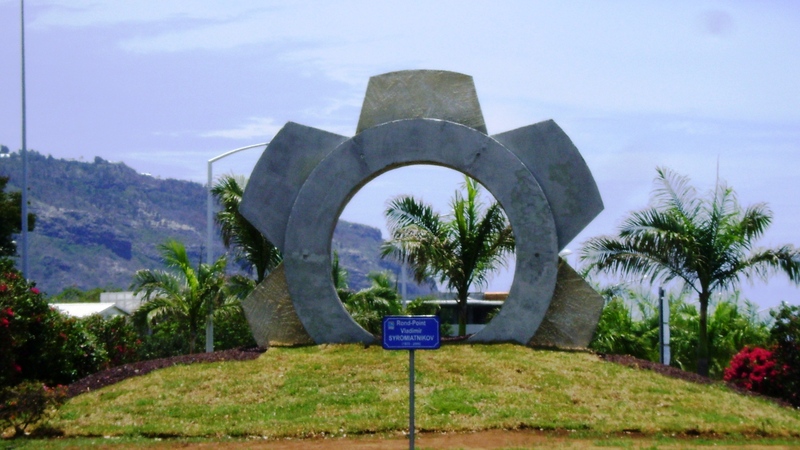 Le Porte des Mondes memorial honors Vladimir Syromyatnikov on Reunion Island (Credits: Anton Syromyatnikov). La Porte des Mondes at night (Credits: Anton Syromyatnikov). Anton Syromyatnikov stands inside the memorial that honors his father (Credits: Anton Syromyatnikov).